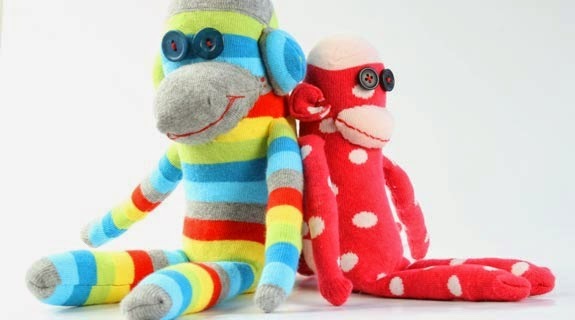 Sock monkeys have been around for a long time and a quick Google search will land you a huge selection of patterns to make your own. 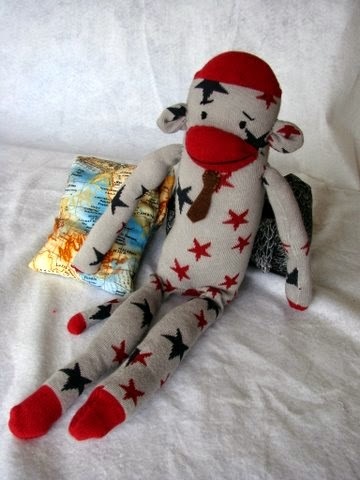 A few years back, I wrote an article for Good Magazine that included the pattern I use to make my sock monkeys. The pattern is no longer on their website and a friend has requested a copy of it, so here it is. 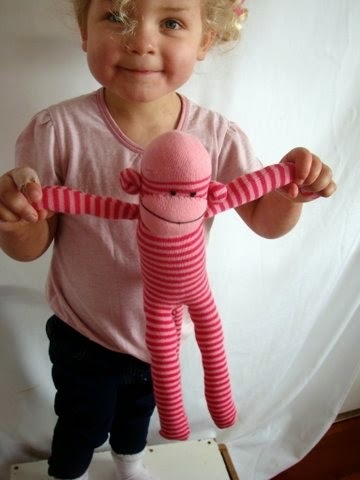 How to make a Cotton Kiwi Sock Monkey. 1. Turn one sock inside out and lay it out flat with the heel facing upwards. 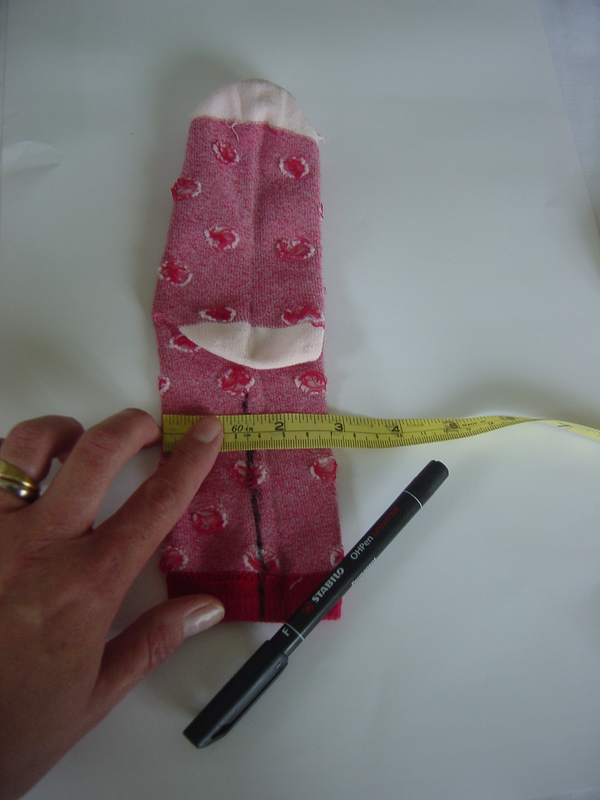 Using the tape measure, mark a central point on the cuff of the sock and draw a line from the cuff to about a finger’s-width from the bottom of the heel. Starting at one edge, sew along the cuff and then up 1cm away from the centre point to the top of the line. Back stitch at both ends to secure your stitching. Do the same on the other side. You should have a gap between the legs where you will turn and stuff the monkey. Cut up the centre line and turn the monkey right side out. 2. Stuff the monkey firmly and evenly using the chopstick to push the stuffing into hard to reach areas. 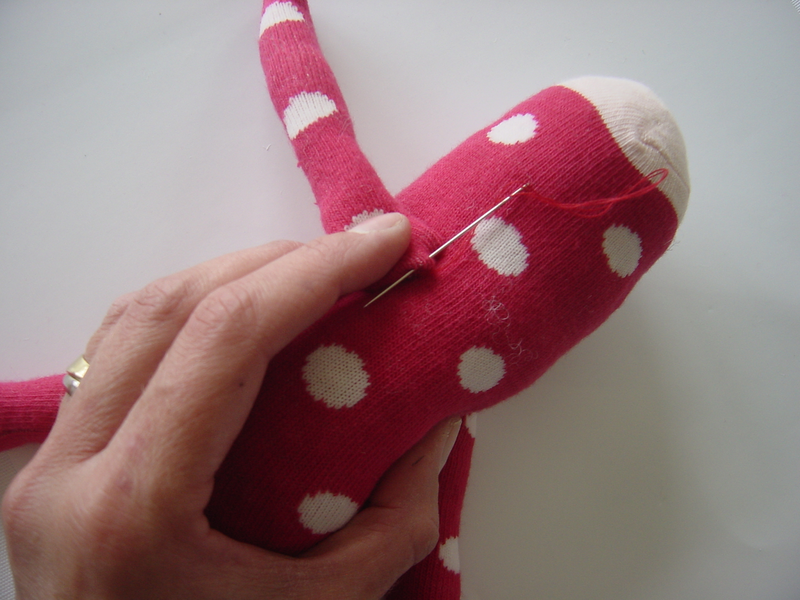 Leave about 2cm at the top of each leg free of stuffing to allow the monkey to sit more easily. 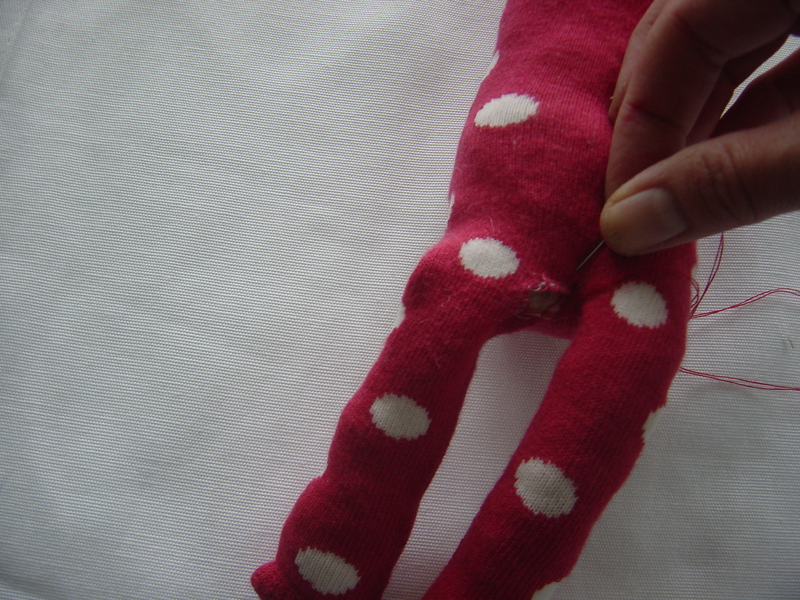 Once you are happy with the shape of your monkey, hand sew the hole closed. The toe of the sock will become the monkey’s head and the heel of the sock will be its bottom. 3. 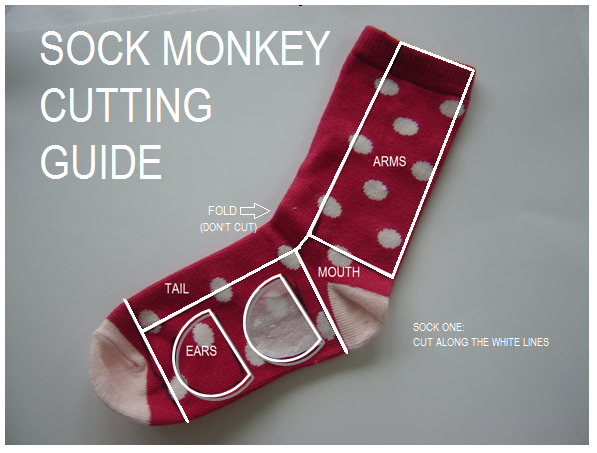 Using the cutting guide below, cut out the other pieces of the monkey. · Tail: Cut the tail from the side of the ankle and along part of the toe. Fold in half, right sides together and stitch along long edge and then curve around at the bottom to create a point for the tail. Turn and stuff lightly. 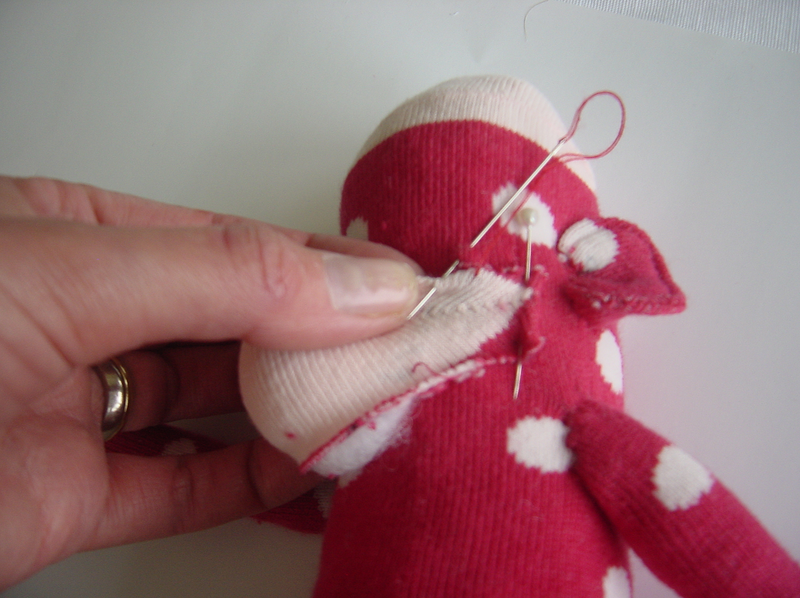 Using your finger, tuck in the raw edges and pin the tail to the point you want it. Hand sew to attach. When you have completed your stitching, push your needle through to another part of the monkey’s body, pull tight and cut. The thread will then be secure and hidden inside the body. Repeat this step with all other body parts. · Arms: Cut 2 wide pieces from the other side of the ankle. 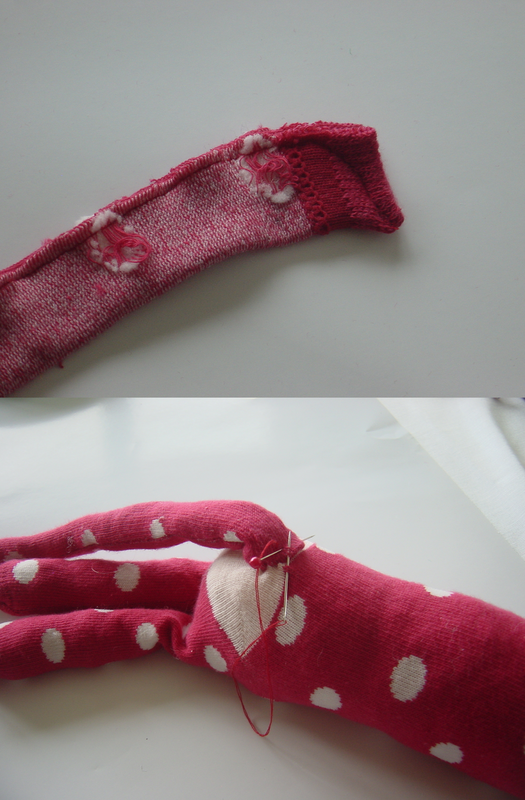 Fold each in half, right sides together and sew along cuff and down long edge. Turn and make sure both arms are even. Stuff lightly and stitch to the sides of the body about half way down the torso. When you have stitched one arm, pass the thread through the body of the monkey to the other side and continue stitching. 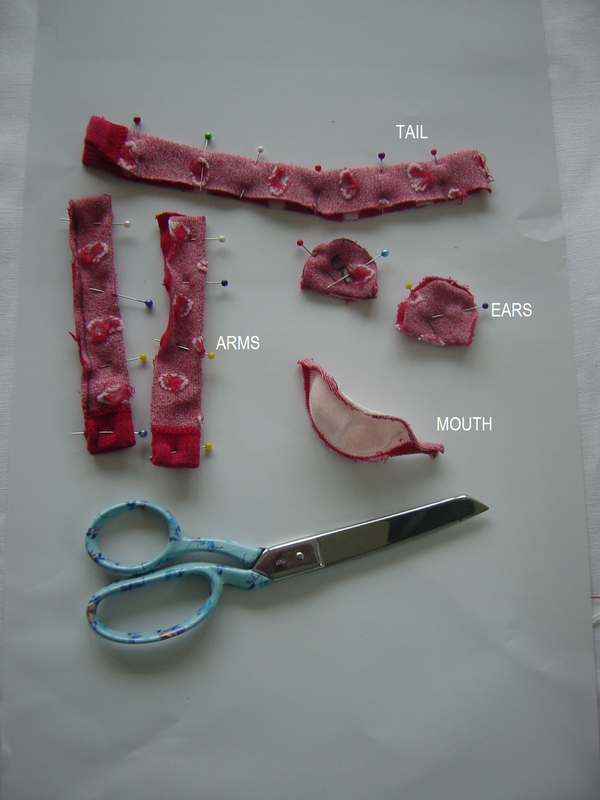 · Ears: Make an ear template and draw around it to create 2 ears from the sole part of the sock. Sew around curved edges, turn and top stitch around outside edge. Fold in raw edges and stitch closed. Put your forefinger in the middle of the ear and fold the ear around it to create a crease. Put a couple of stitches in the ear to secure it in this position and attach it to the sides of the monkey’s head. Repeat with the other ear making sure they are at even heights. 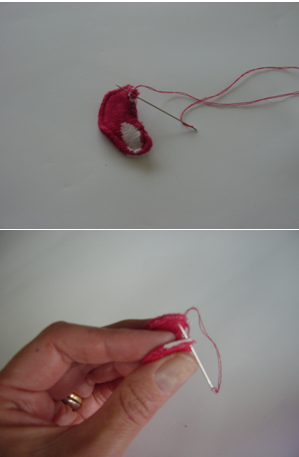 · Mouth: Cut out the heel of the sock. Tuck in each corner and pin just below the ears. Lightly stuff and then hand sew it to the monkey’s face, turning under the edges as you go. 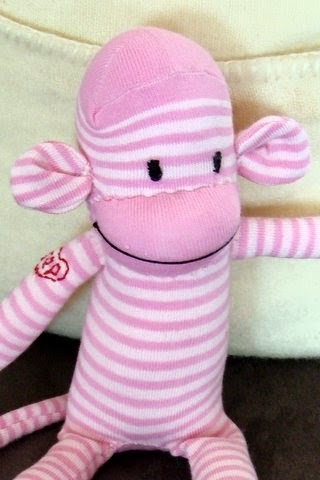 Using the red embroidery thread and back stitch, give your monkey a smile. · Eyes: Decide if you want button or embroidered eyes. Use pins to decide on placement for your eyes. Experiment with different eye positions. It can really change the expression of your monkey. Add eyebrows if you want to. If you are making this toy for a child under 3 years old, you should embroider the eyes instead of using buttons to make sure the toy is safe. Have a look at the monkeys below for some inspiration for your faces and added decorations.